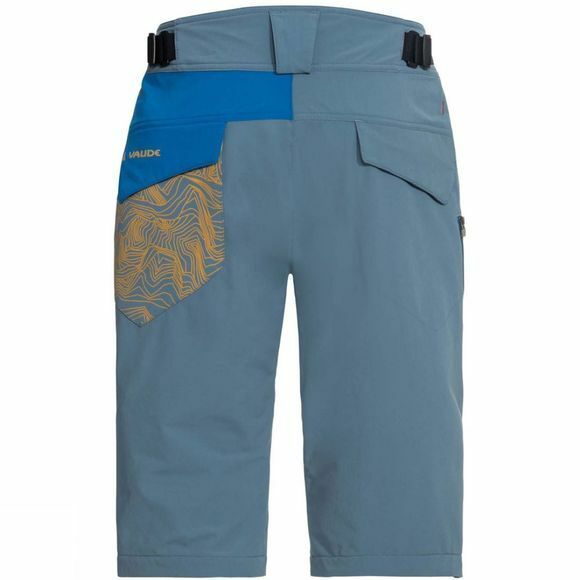 The Mens Moab III Shorts from Vaude are casual bike shorts made from a lightweight, 4-way high-stretch fabric, you'll be gliding through any terrain. The environmentally friendly, Windproof 80 primary material is wind-resistant and very robust. The shorts end below the knee; length can be adjusted with a 2-way zip if you're adding leg warmers, and the zip also serves for ventilation. 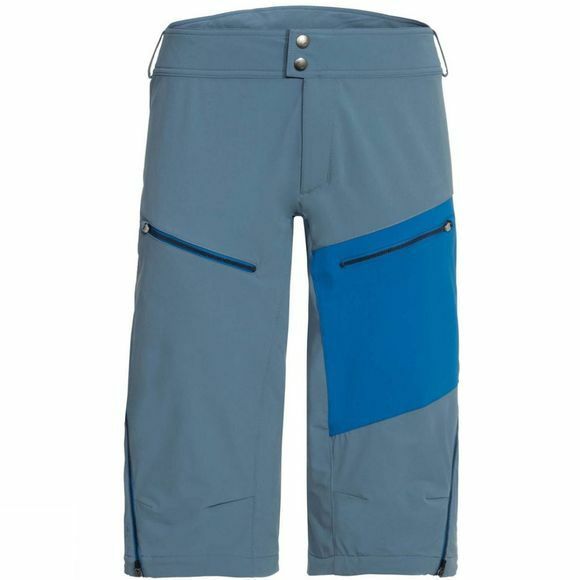 Thanks to higher waistband at the back that's fully adjustable, the pants always stay where they belong. This product is made with Eco Finish, an eco-friendly, fluorocarbon-free, water repellent finish (PFC-free). The Vaude Green Shape label stands for environmentally friendly, functional products made from sustainable materials.